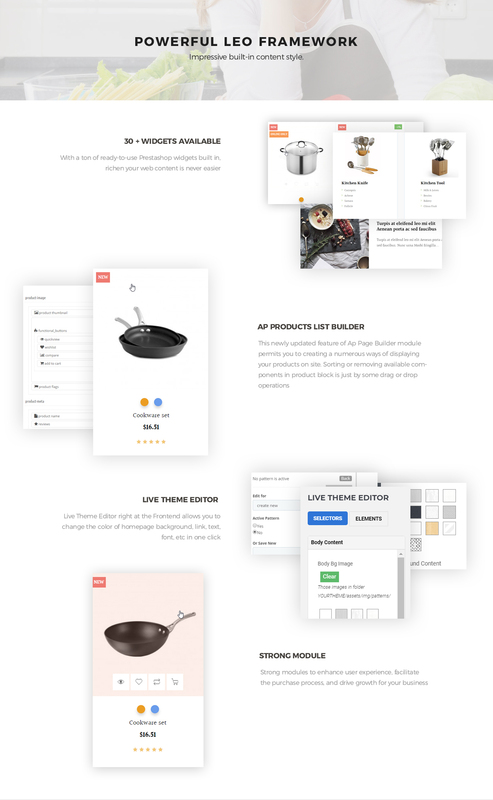 Leo Icook is a premium unique theme that targets for kitchenware retail store websites. 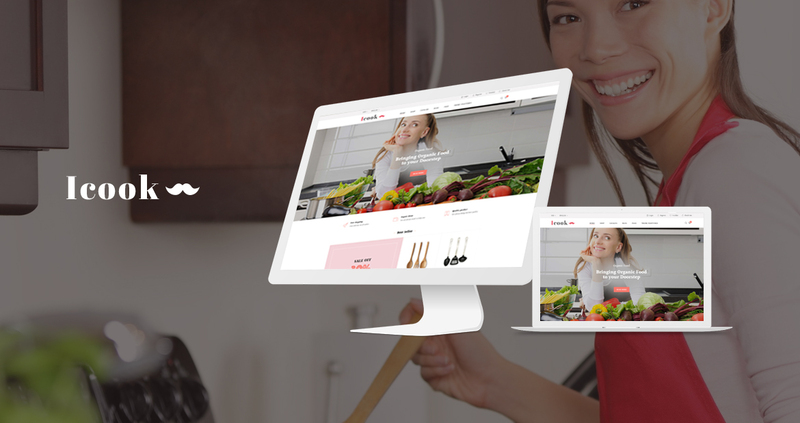 This responsive Prestashop theme will accompany with you to expand your customer with a professional online store that sell and review the latest products like kitchen tool, cookware for your kitchen. 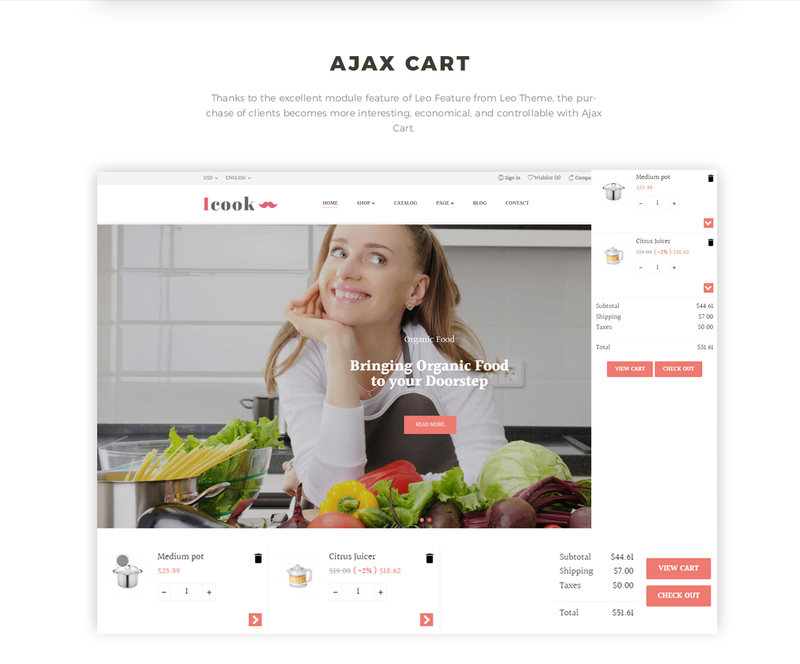 Moreover, Leo ICook Prestashop 1.7 theme with high-quality, modern and up-to date designs and greatest features will assure you to have an amazing online store and your website will be the best place to buy kitchenware for clients worldwide. 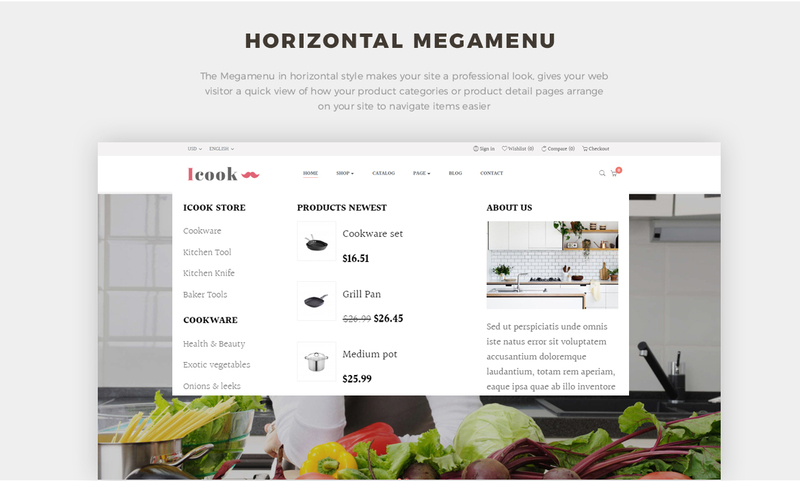 Leo Icook is associated with powerful modules like Ap Page builder module, Leo Mega Menu, Leo Slideshow, Leo Feature in order to present your items in the most visible ways and useful tools for better and easier and time-saving online purchase for your clients. 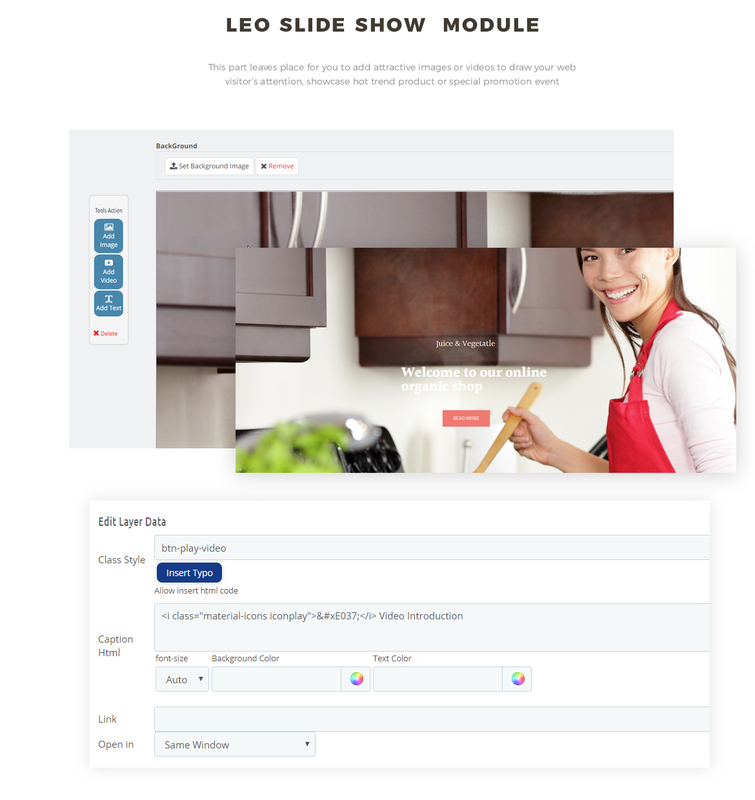 Remarkably, Leo Blog will facilitate you to show the latest blogs and improve relationship with your clients. Additionally, you also benefit from our lifetime support service, available 24/7 and free with every purchase. 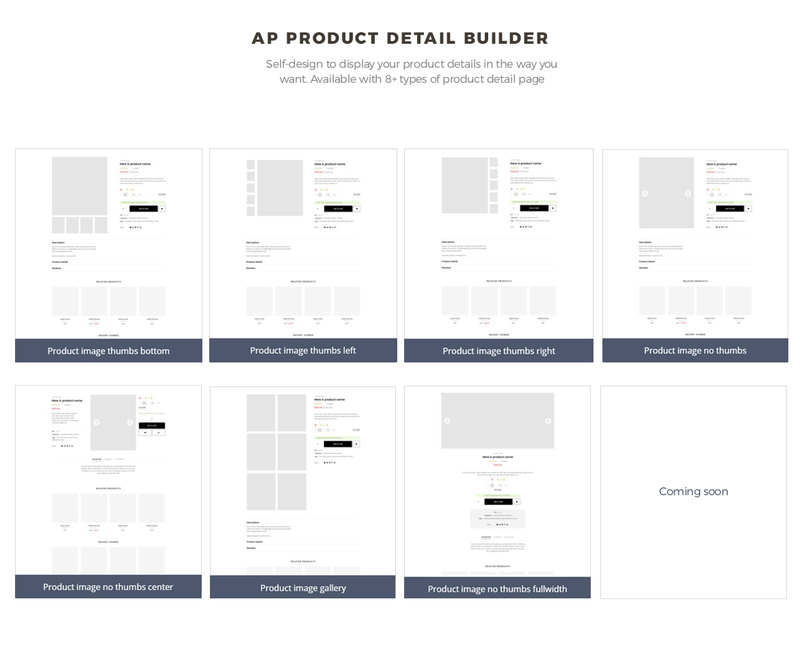 Specially, it comes with unlimited color and a color picker in the admin panel to create gorgeous websites with various layouts.